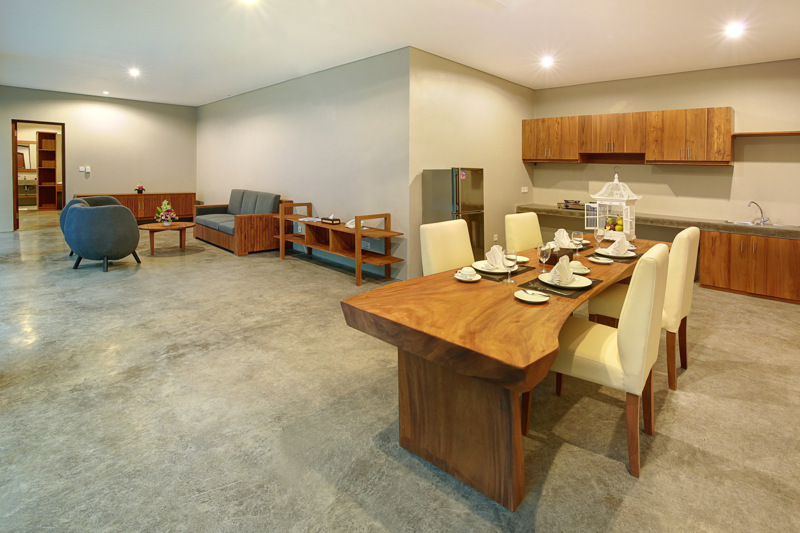 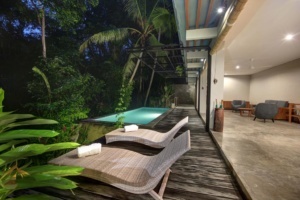 Our villas in Ubud consist in a small complex offering a total relax and a fantastic experience for guests. 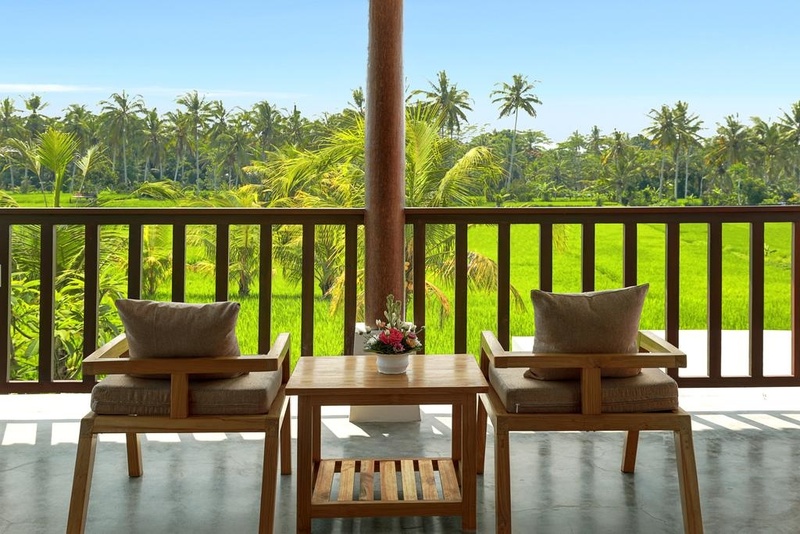 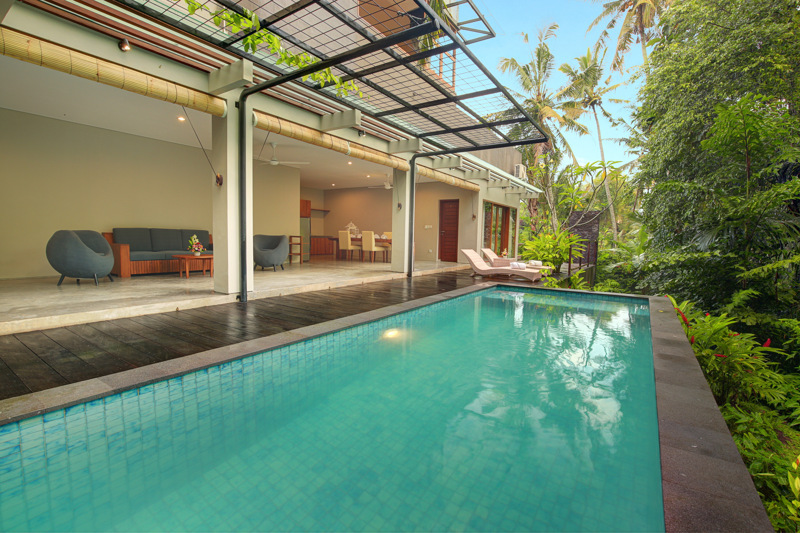 Surrounded by rice fields, this complex consists in 5 villas with total 11 bedrooms and 5 private swimming pools inside each of villa. 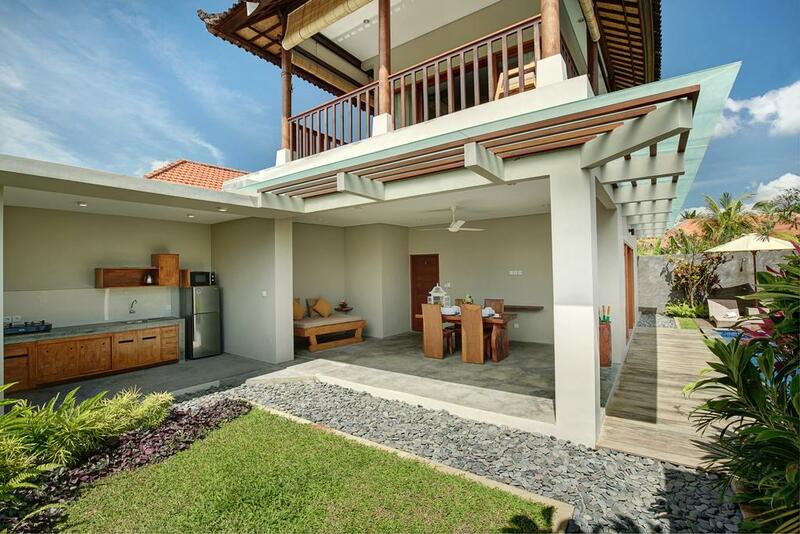 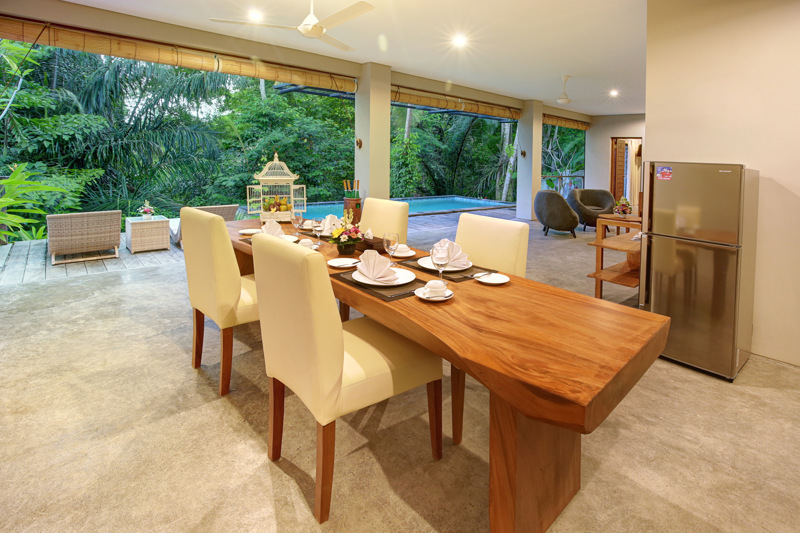 This amazing Two bedroom Villa, with its Balinese and Western style, develops around the stunning pool ; it consists in 2 king size bedrooms with en-suite, with A/C, free wi-fi, flat TV with international channels, bathroom with bathtub and shower; Dining area; Living area; fully equipped Kitchen; Coffee/tea making facilities; in room safe. 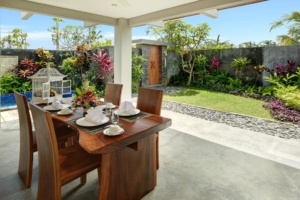 You can fire up the barbecue for a tasty meal and enjoy the beautiful tropical garden and fair weather. 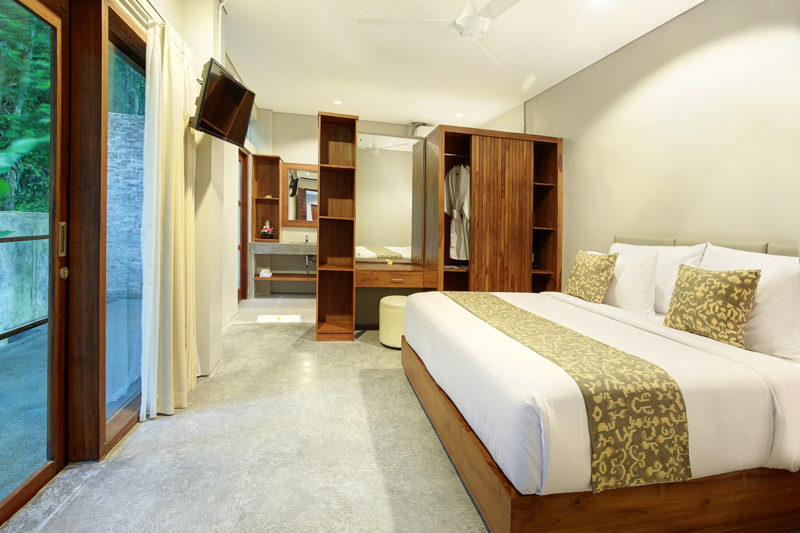 Located near Ubud Market and Ubud Palace (1.8km away) . The International Airport Ngurah Rai is 30km far from the villa. 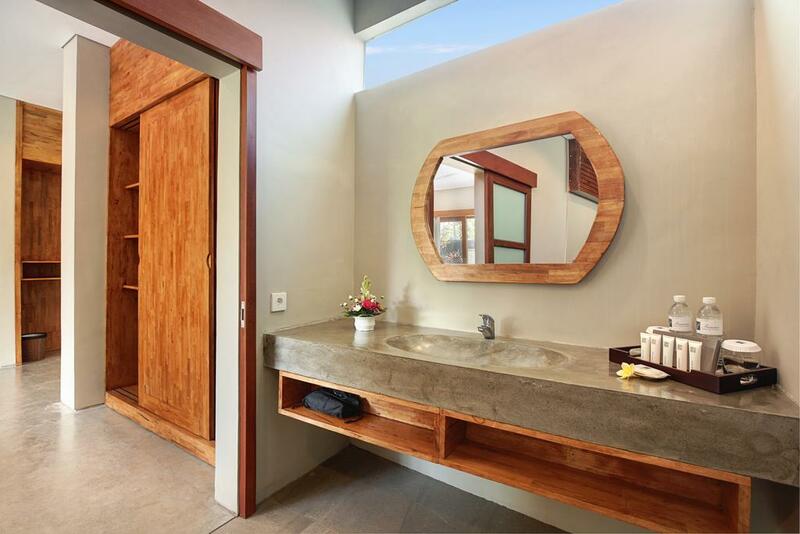 The town of Ubud, in Bali is known as a center for traditional crafts and dance. 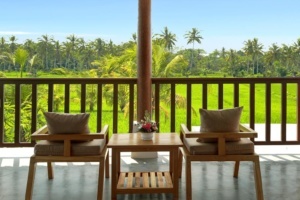 The surrounding Ubud District’s rainforest and terraced rice paddies are Bali’s most famous landscapes.